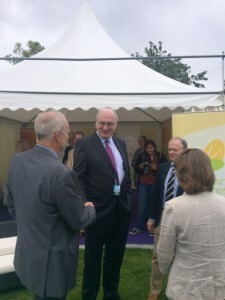 We were delighted to have the EU Commissioner for Agriculture and Rural Development Phil Hogan at the Show this year. 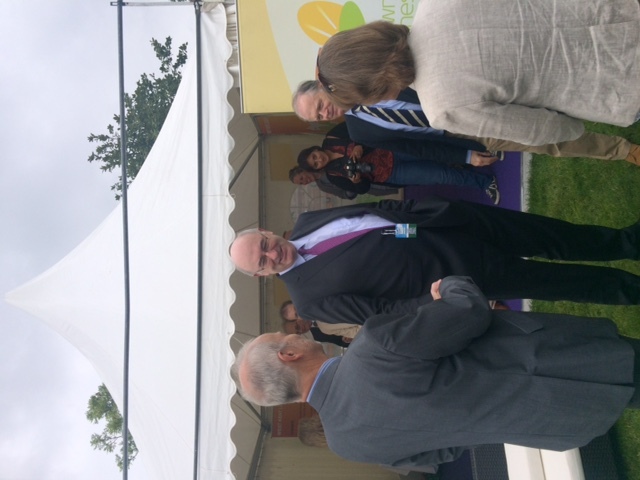 His visit marked the first public engagement between the EU Commission and the British public so was a really important moment to offer clarification after the recent events and address some of the uncertainties of the rural and farming communities. Hogan, CLA Deputy President Tim Breitmeyer and NFU President Muerig Raymond all gave speeches while the Commissioner stayed for a Q and A session. Hogan’s speech reiterated the calls by the President of the EU Commission, Jean-Claude Juncker, for the UK to clarify its position after the Brexit referendum as soon as possible in order to minimise the uncertainty. He also underlined that he was optimistic the UK and EU can begin a new relationship as ‘good neighbours’. No negotiations will take place until the UK invokes Article 50, and until those negotiations are completed we’ll stay as a full member so all of the EU agricultural regulations will still need to be met, but our farmers will also continue to benefit from Common Agricultural Policy support schemes and the internal market for agricultural products. He also touched on how important agricultural events like the Kent Show are for recreating the link between urban and rural communities, and helping to repair the broken connections between food producers and consumers. Agricultural events are crucial for helping to combat people’s misunderstanding of the origins of their produce. Deputy President of the CLA Tim Breitmeyer spoke on the importance of future stability after the turbulent political events of the past two weeks as the ‘key ingredient’ for the success and development of our rural and farming industries. He claimed that free trade will be of crucial importance so that the industry has access to the markets it needs. Free movement of people will of course be the controversial sticking point in any trade negotiations. Finally Meurig Raymond, President of the NFU, gave an earnest talk thanking the Commissioner and discussing the future developments between the EU and UK. Raymond emphasised that on many issues, like the simplification of CAP, the UK will still be part of the debate for as long as we’re part of the EU. He moved onto the importance of the trade negotiations. The EU is one of the biggest importers of UK produce: we export 38% of our sheep meat to the EU and 3 million tonnes of grain a year. Raymond spoke of the importance that the forthcoming negotiations don’t open the gates for lesser quality imports into the British market. Another subject Raymond touched on was labour. Non-British labour is crucial for the farming industry, particularly the horticultural industry which is especially central to Kent agriculture; so discussions about free movement of peoples will be incredibly significant. Raymond ended by saying that there’s a need for the UK to turn these recent events into a opportunity, rather than a problem that needs to be overcome. Download transcript of the keynote speech.